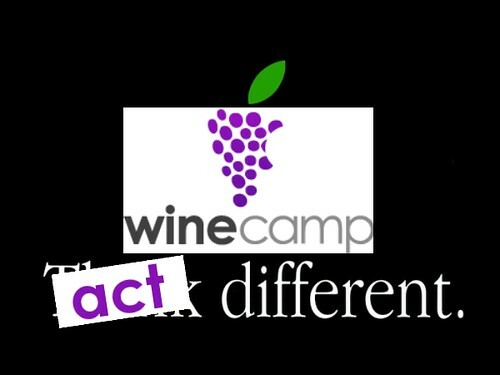 In case you haven’t signed up yet for this weekend’s WineCamp, now’s the time to do it. I’ve been thinking about it lately, and what I’m hoping to get out of it. Unlike other BarCamps, we’re really trying to break things up and introduce some new folks and ideas to the ad-hoc model (and by ad-hoc, I mean we’re buying up supplies, food and even the tent Tara and I’ll use throughout today and tomorrow!). It’s non-profits, it’s technologists, but really, disciplines aren’t the most important thing — it’s the conversations that will result — and the sunlighting of opportunities where all this new social media stuff has failed to light a fire. What I’m most looking forward to, besides a great time, a great venue and some great wine, is talking to Donald Lobo and David Geilhufe of CivicCRM/CivicSpace (as well as Zack, Neil and Kieran) on how to make their platform more palatable and useable by normal folks. I would have loved to use CiviCRM to organize WineCamp, but it’s just too much software and I don’t have the time or expertise to make it sing for me. Now that I’m on the other side and actually organizing, I have a much clearer picture of what this stuff needs to do and how simple it needs to be. I’m looking forward to catching up with my good friend Mini, who works with the Level Playing Field Institute and has created an awesome project called Smash Cast. I’m also looking forward to discussing modern education reform with folks like Charles Morgan from Presidio Hill, about all kinds of good stuff with Murray Freeman who I met some time ago at SHDH… about what we can do to make non-profits more tech savvy and at the same time, technology builders more sensitive to matters beyond dollars and cents. Stuff that the Compumentor folks know a great deal about (and who have been instrumental in making this happen). Above all, can we identify the projects and challenges that don’t have business models but that need to be built regardless? There’s so much more to look forward to — and I can’t believe that it all starts tomorrow night with a big ol’ fashioned weenie roast on the vineyard, but heck, that’s the way this thing should get started. Pescitarian or whatever I am, even I recognize the need to go back to basics and start simply every now and again. I really wish I could make it, but I’ve done just about as much travelling as I can afford this year! Enjoy the weekend, it sounds like it’s going to be a blast, and I’ll be very suprised if a few great ideas and partnerships aren’t born of the people-mashup you’re creating. Any chance we’ll see you for Barcamp Boston next weekend? Previous Previous post: Damn, where’d I go?